Welcome to our KissKissBankBank page! We are the Comp’Art, a team of 4 extremely motivated scouts from France. Since September, we have been putting together, with an association, an international solidarity project in Laos which aims cultural, artistic and touristic development. Find out more about this project below! The projects are initiated and set up by the locals and then are led with the association, keeping in touch with local representatives and following the advices of qualified persons. The recipients are full actors in the actions led, which allows them to keep their independence toward ADV-Laos once the project is brought to fruition. 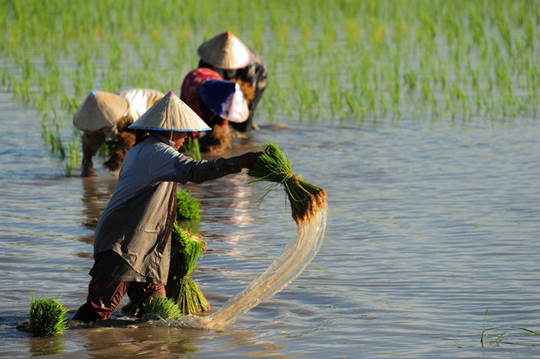 We intend to organize many other activities in our free time, such as arts and crafts, big games, English lessons... We will also take part in the work in the rice fields. Our total budget is of 7000 €. To reach this sum, we do odd jobs all year long, which we call “extra-jobs”. For example, we designed the official sweatshirt for the North Aquitaine SGDF Territory, which we sell at scout assemblies; we sell apple juice made by our group with a producer in Charente-Maritime; we hold refreshment stands for local shows; we babysit, help people move, clean cars … just to name a few! We also put a grant application booklet together that we sent to different structures. 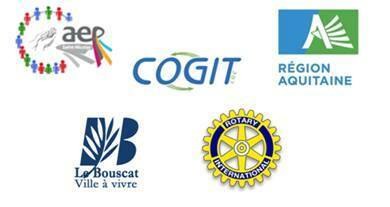 Among these, the association AEP St Nicolas, the company Cogit LGC, the Conseil Regional’s “projets initiatives jeunes”, the Bouscat's city hall and the Bouscat's Rotary Club plan answered favourably, and for that we thank them warmly. As of today, we are 2000€ away from reaching our goal and being able to fully carry out our project. This is why we are calling upon your generosity! The Scouts are a world-wide youth movement, created in 1907 by the Englishman Baden Powell, and today, Scouts remain the world's largest movement of the kind, with over 38 million members in 217 countries. The Scouts et Guides de France (Scouts and Guides of France, SGDF) are recognised by the State as promoting public interest. The association has an educative purpose, which aims to teach young people how to live in community, inviting them to become citizens of the world by promoting a philosophy of unity and responsibility. The SGDF are divided in several age categories, going from the age of 3 to 21. The Compagnons (known as « Rovers » in English-speaking countries) belong to the eldest branch of the movement. They are from 17 to 21 years old. The educational project of the Compagnons is based on four mains themes: Communal living, acting with a partner, meeting others, and increasing oneself at a personal level. The compagnons program is three years long. The first year aims to bond the team. During the second year, an international solidarity project has to be built, by establishing a partnership with a foreign association. Finally, the last year enables the team to reflect on their scouting years, to share their experience with the younger scouts, and to get involved with an association. We are four compagnons, three girls and a boy, members of the SGDF in the cities of Bruges and Le Bouscat, near Bordeaux. 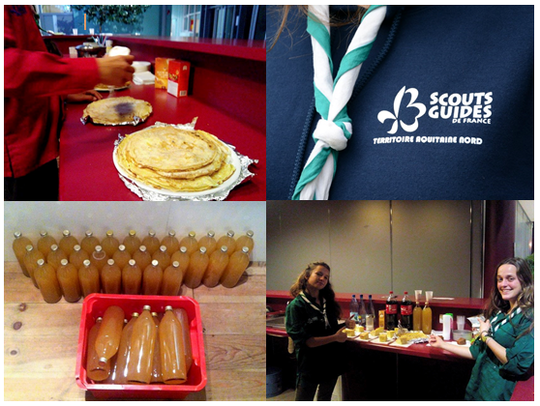 We have been involved in scouting for many years now, and have already done many things together: voluntary work with the Food Bank and the sanctuary of Lourdes, supervision and animation for younger Scouts during scout camps, stilt tents building... Different but complementary, we all bring something to the team, which makes it work. Thank you for the attention payed to our project and your support! Added to our NEWSLETTER + YOUR NAME on our Facebook page and our end of project video + a POSTCARD from Laos + 1 SOUVENIR (tea, pepper, coffee, silk scarf, jewelry, wooden object) – or we can make it a surprise ! Added to our NEWSLETTER + YOUR NAME on our Facebook page and our end of project video + a POSTCARD from Laos + 2 SOUVENIR (tea, pepper, coffee, silk scarf, jewelry, wooden object) – or we can make it a surprise !